Canada’s Aurora Cannabis has announced it has submitted a proposal to acquire all of the issued and outstanding common shares of CanniMed Therapeutics Inc. The company states it already has irrevocable lock-up agreements with approximately 38% of CanniMed shareholders to vote in favour of its proposal or tender to Aurora’s bid. Aurora currently operates a 5,128 square-metre facility in Mountain View County, a 3,716 square metre facility in Pointe-Claire, Quebec and is in the midst of constructing a 74,322 square meter production facility at Edmonton International Airport. CanniMed has facilities in Saskatoon, Saskatchewan (Canada) and White Pine, Michigan (USA). “Aurora and CanniMed are a great fit, truly complementary, and I am convinced we can generate even greater value by combining the two companies and aligning our efforts strategically,” said Aurora CEO, Terry Booth. 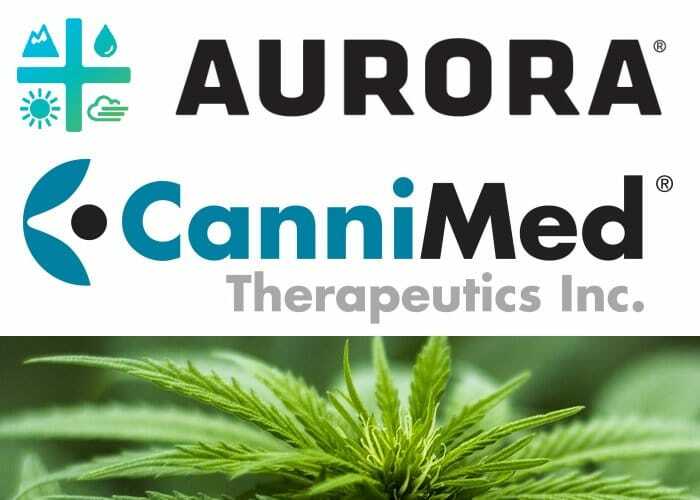 CanniMed advised yesterday it was yet to have received a formal written offer from Aurora. “We advise shareholders to take NO action until such time as the Board has had the opportunity to fully consider and make a recommendation regarding the Unsolicited Offer,” stated the company. CanniMed has a bit on its plate at the moment – it also announced it has previously entered into an exclusivity agreement with, and is in advanced discussions to acquire, Newstrike Resources Ltd; which has a recreational cannabis brand. Aurora has put the pressure on. “Aurora has requested that CanniMed’s Board respond to the Proposal prior to 5:00 pm (Vancouver time) on Friday November 17, 2017, failing which, Aurora intends to commence a formal takeover bid for CanniMed,” said the company. Aurora also has an Australian link. It has a significant stake in Cann Group; a rising star among the nation’s medical cannabis companies.